Happy Multicultural Children’s Book Day!—the day when we celebrate and highlight books that reflect our diverse world. Check the end of this review for more about Multicultural Children’s Book Day including free resources for educators. 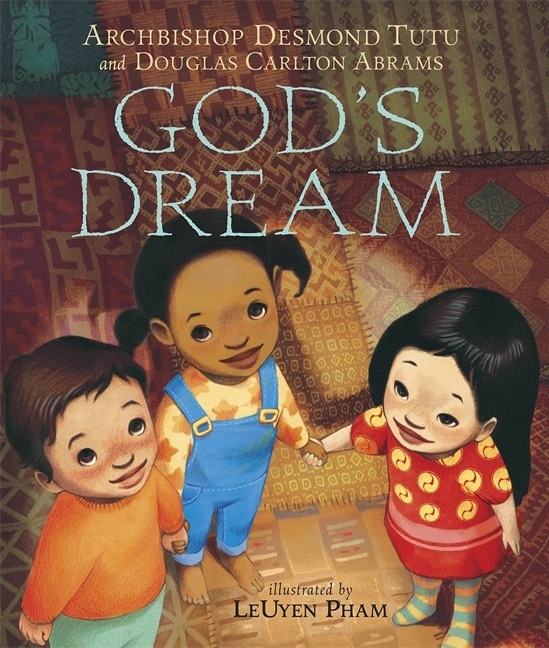 This year I was thrilled to be selected to review God’s Dream, written by one of my heroes, Archbishop Desmond Tutu, along with his writing partner Douglas Carlton Abrams, and illustrated by LeUyen Pham, who sent me a beautiful hardcover copy of the book. Thank you so much, LeUyen! The picture book is as gorgeous as is fitting for a book with such a title. The illustrations—in graphite, watercolor, ink, and digital color—use a warm, colorful palette to show expressive children of diverse races and religions. Young children will nestle into this cozy world and be engaged by the dynamic details in the illustrations. The language is poetic. It depicts a deity who wishes for people to share, care, and forgive. For some families these might be new ideas that need a little explanation, but, because they are described simply through relatable situations and partnered well with the illustrations, the book will resonate for most children and adults. This is a book that families can enjoy again and again, discovering different details and insights on different days. Why do you think God wants people to be caring? Why do you think God wants people to forgive? What else do you think God dreams about? What else do you dream about for yourself? What else do you dream about for others? Happy Multicultural Children’s Book Day! I am thrilled to be involved in this event—now in its fifth year and, very happily for this world, growing each year. It’s so important for children to be able to see themselves in books. 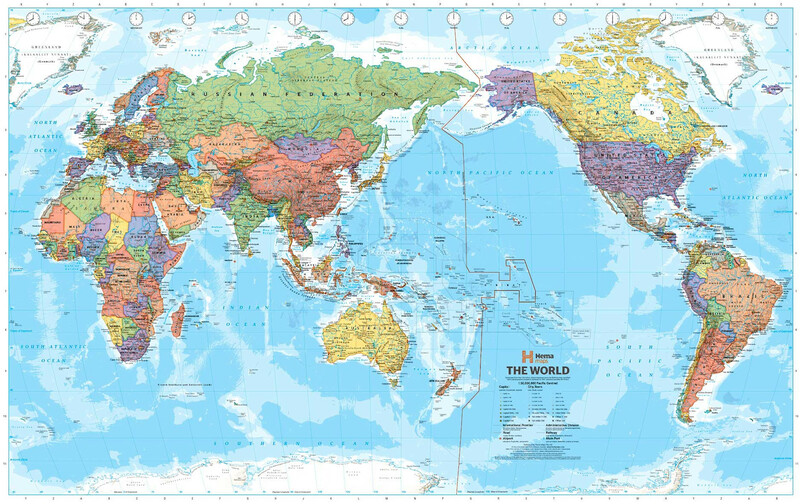 And it’s also important for us all to see the diversity in the world—to be knowledgeable about the truth of both our rich variety and history as well as our commonalities. I volunteered to review a book for the event and was pleased to be selected to review Love Family written by Norah Barrett Cooper and illustrated by Joelle Nelson. Thank you to Loving Lion Books (www.LovingLionBooks.com) for not only sending me a copy of the book, but letting me personalize it. Customizable books hold a dear place in my heart. When I was a child I had a personalized book with a giraffe protagonist whose name was my name spelled backwards. Knowing that book was made just for me made it extra special. This customization is different and even more personal in some ways, which I think will make it a cherished book by many families. People who order a copy of Love Family can select the look of the girl protagonist, father, mother, and grandmother. The intent is to give families an opportunity to have a book with a family that racially resembles their own—something not easy to come by for families of color and particularly for multiracial families. The web site is cleanly designed, and I found the personalizing process easy to do technically. Issues of identity bring up a lot of thoughts and emotions for many of us, me included, so that part of the choice-making was not as easy. The kinds of questions that came up for me are really the very kinds of issues that point to why we need diverse books. I found myself bothered that the white girl has super light skin and blonde hair. This brought me right back to memories of the cultural messages that I, once a darker-haired more olive-skinned white girl, picked up on as a child: that golden hair and lily-white skin was some kind of ideal. This notion has particular poignancy for me today, as Multicultural Children’s Book Day falls on International Holocaust Remembrance Day. I bring this up to illustrate how these seemingly simple choices can bring up a lot of feelings and thoughts, especially when they relate to our personal experiences and history. 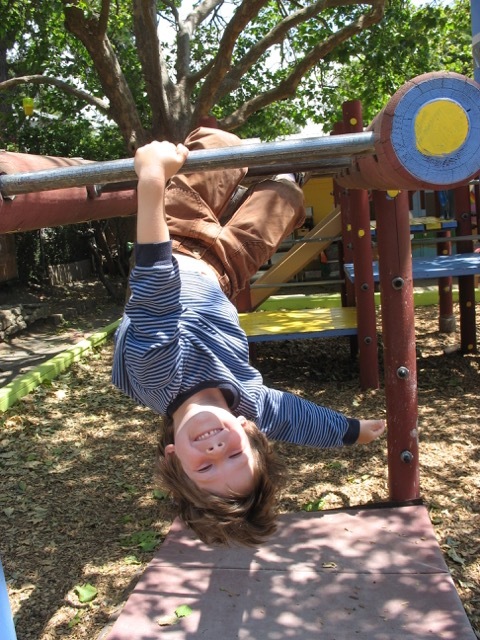 My son noticed that we couldn’t choose a boy and that almost all the girls and moms had long hair. And then I realized that there were no girls or women wearing headscarves like some of the girls and women who live in our neighborhood. The questions went on, but I’ll stop there. 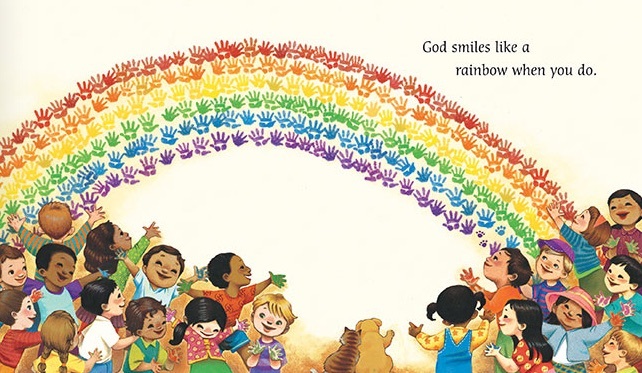 I am very sympathetic to the notion that Loving Lion Books can’t offer every possibility, especially with the quality watercolor illustrations that serve the book well. Of course four choices or even ten or twenty can’t cover everyone, but so many of these options for family combinations don’t exist at all in books. In that way, Love Family is greatly expanding the possibilities for kids to have a book where the family racially resembles their own. So I made the choices that I felt best about. (I found that I identified most with the brown-skinned girl with long, dark hair.) The actual selecting and ordering were easy and in a few weeks a beautiful book arrived. The book describes a family gathering with elements that are typical of many family gatherings—the anticipation as food is being prepared, the excitement of people arriving, the joy of playing with a group of cousins. The text is lyrically written with many fun sensory details, such as “Even with the music turned up, I can hear laughter from the kitchen.” The watercolor illustrations are beautiful with bright colors and lots of details for kids to enjoy gazing at. The daughter, father, mother, and grandmother were as I selected. The cousins are even more racially diverse and include boys as well. 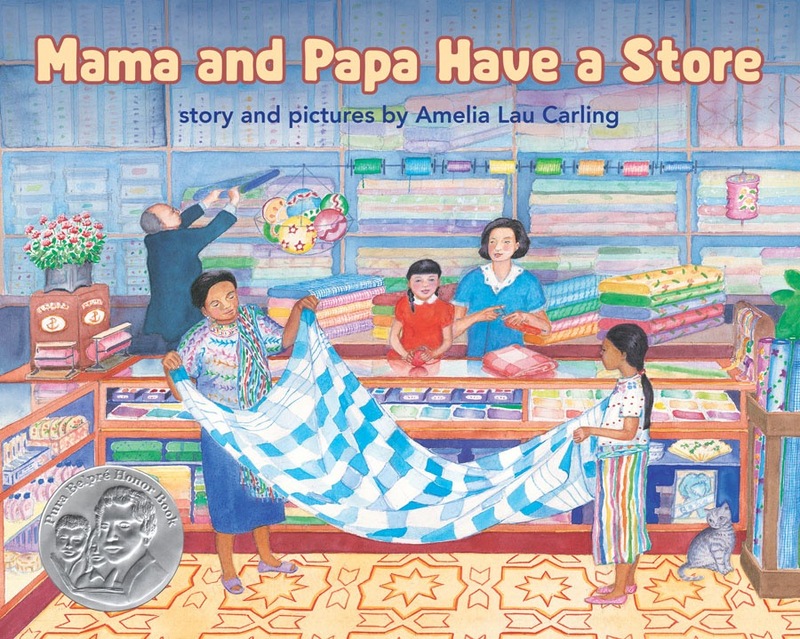 This book will make an especially great gift for a multiracial family with a daughter, but anyone can choose among the sweetly rendered family members and receive a beautifully written and illustrated book about a family occasion that shows the diversity of our world. It’s easy to picture family members cuddled together reading it, and Love Family is the perfect name. 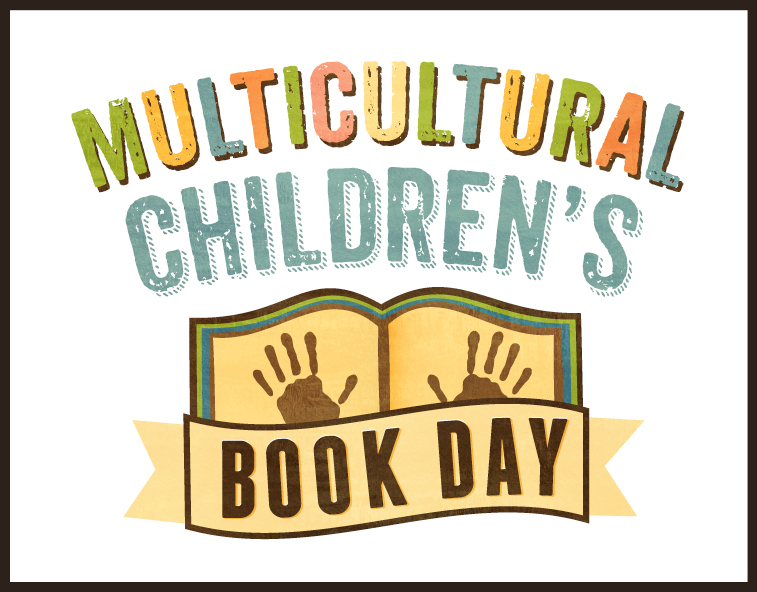 Below is information about Multicultural Children’s Book Day. May you discover wonderful diverse books today and every day! Multicultural Children’s Book Day 2018 (1/27/18) is in its 5th year and was founded by Valarie Budayr from Jump Into A Book and Mia Wenjen from PragmaticMom. Our mission is to raise awareness of the ongoing need to include kids’ books that celebrate diversity in home and school bookshelves while also working diligently to get more of these types of books into the hands of young readers, parents, and educators. Last I posted here I had a newly planted butterfly garden. 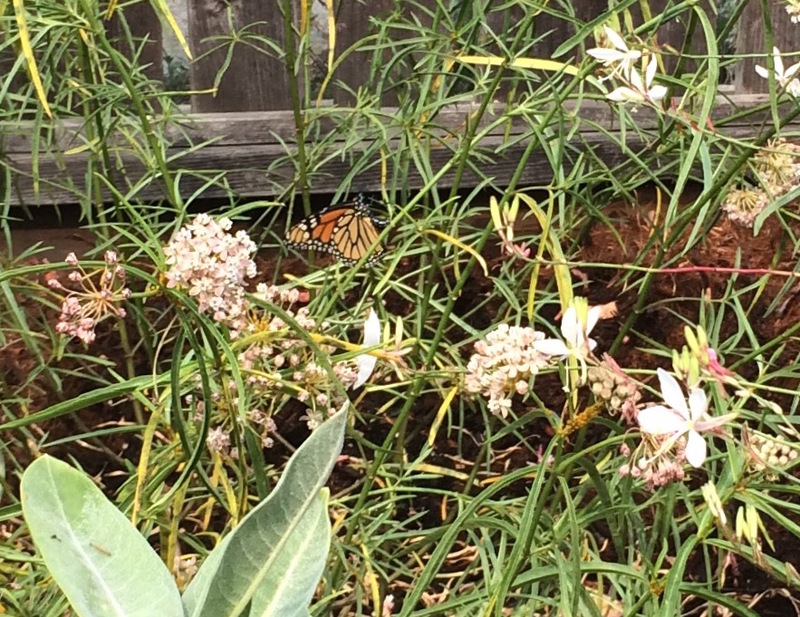 It grew faster than I imagined, including the milkweed, planted because it is the favorite food of monarch butterfly caterpillars. One appeared in July, but I never saw it as a chrysalis and guessed it became a meal for a bird. Then something else found the milkweed. Golden aphids began to surround their stems and form mats on their leaves. I tried various methods of ridding the plants of them, careful to avoid anything that might harm butterfly eggs and caterpillars. When leaves started dropping at accelerated rates, I began to think that this part of the experiment wasn’t working (at least for this year). 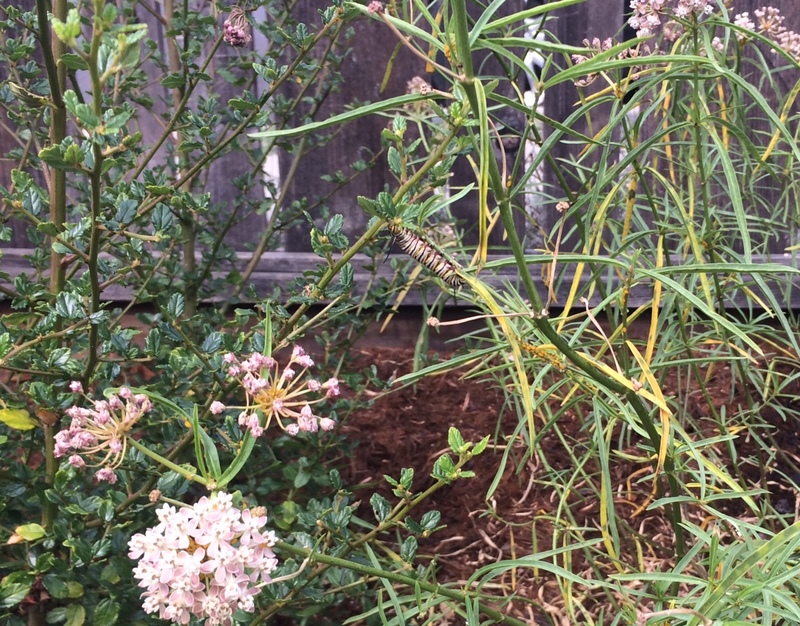 But while hosing aphids off milkweed stems last weekend, I was very happy to find not one, not two, but three monarch butterfly caterpillars! Just one of the three monarch caterpillars here! I watched her flit around the milkweed. She’d go off to other areas of the garden and sometimes venture beyond the fence a bit, and kept coming back to the patch of milkweed. I write “she” because I like to imagine she was laying eggs. She spent quite a long while there, basking in the milkweed, and so did I, basking in watching her. This morning I found a hat with sentimental value that had been lost for over a year. I had been in my coat closet getting a hat to wear on a walk. I thought of the butterfly cap and another cap we lost around the same time. I actually said aloud, “Those hats are really, really gone.” And then, there, in a spot where I’m sure I’ve looked for it many times, was something that looked like the butterfly cap. And it was. After all that time and all that looking, it was in my hand. I thought maybe the other missing cap would be underneath it, but, no, there were some caps there we’ve worn in recent months. The returned butterfly cap seemed like a gift. Tears came. I think for many reasons. That hat was my grandfather’s. I wore it sometimes when I visited him, and then it became mine. It says “The American Museum of Natural History” on the back, which underscores its connection to his New York City home. It is connected to my interest in butterflies and all the people who have remembered my interest by sharing butterfly stories, words, and objects with me. And it is connected to my grandfather’s friend, Charles, who shared my love of butterflies and even my interest in words for butterflies in different languages, and who once made a butterfly garden in Central Park. And now, in the last month, I have made a butterfly garden in my front yard. What timing. Also, I cried because of the lovely truth that sometimes things that are lost get found.